Now you can get the Scoop on your Kennel Data! For years, the main request we have gotten, after the production of pretty pedigrees, has been reports. You all have your unique understanding of your dogs and your kennel. Why should you have to conform that understanding to the way a program presents its data? That's what our "competitors" do. PedFast Technologies™ showing its usual pre-eminence, has again left them in our dust. PedFast Technologies™ proudly offers The Scoop™. 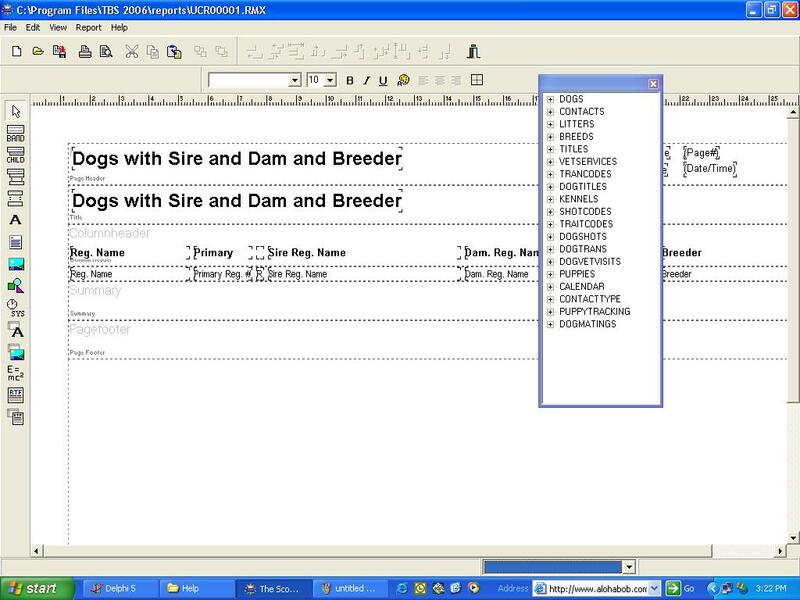 This powerful new add-on for The Breeder's Standard™ versions 2001 and newer (except for The Breeder's Standard .NET) gives you the ability to view your kennel's data in any way you see fit. Now, instead of the 135 or so reports that come with TBS, you have an infinite number of views to your data. We've combined easy use and breathtaking power into one simple and inexpensive product. 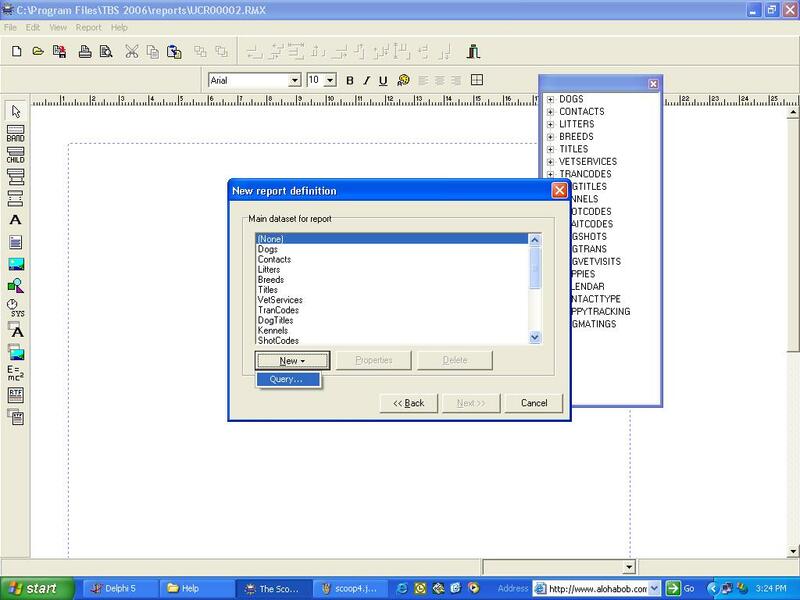 You can design a report using our easy Report Wizard, or you can get "down and dirty" with full power SQL queries. The Scoop™ even has its own scripting language! So when you think that a report is difficult to produce, The Scoop™ makes it a piece of cake! How much is this reporting power going to cost? Only $29.99 plus S&H. You can of course pay no S&H and even get a $2.99 discount by choosing electronic delivery! The Scoop™ is available today, and comes with comprehensive program help built-in. The PDF edition of the user manual will be out in the next week, and Trafford will have the printed edition for sale shortly after that. So get The Scoop™ today! Every Report that you create with The Scoop™ is listed in the main window. You can change the layout at will, get rid of it, and print or preview on screen with the single click of a button. The Scoop™ displays the report in a design window, and you can choose what kind of data you want, where in the report. You can do groups, sub-details, headers and footers, and more. 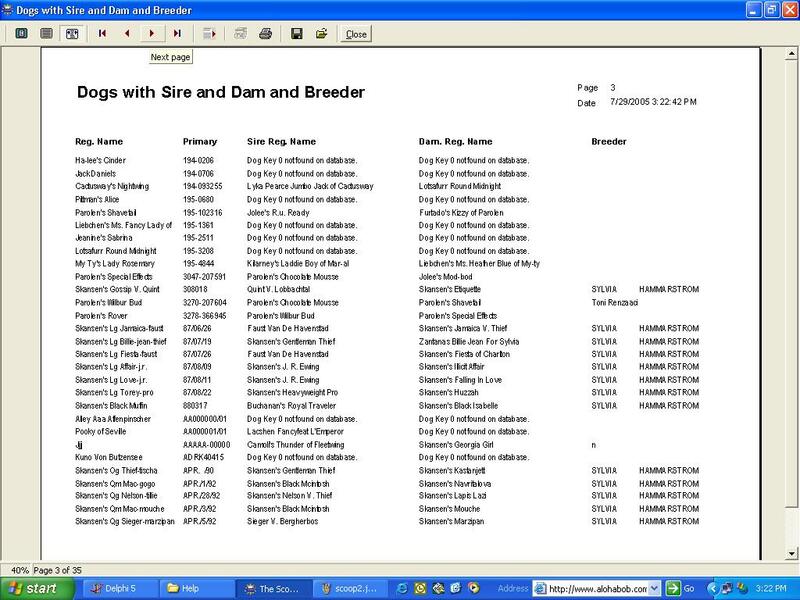 You can even insert rich text word-processed details in your reports -- even your own kennel logo! There is an easy-to-use tool bar, and the lesser-used options are on the top menu. Wherever the power is located, it is there! The Scoop™ supports normal things like page number and date/time, but also supports full-blown expressions, where the sky is the limit! Do you have a private genetic calculation that you want to keep to yourself? Perhaps The Scoop's powerful expressions and scripting language will let you rapidly calculate what you need to know! Any time while you are working on the report, you can press the Preview button and see it work! The data will display on your screen. You can rapidly print from that same screen if you wish. This kind of "on the fly" checking was formerly only available to computer geeks, or those who spent hundreds, even thousands, of dollars on an end-user ad hoc reporting tool. We did it, and quite well, for under thirty bucks. But what if I'm not a geek? The Scoop™ isn't a "geeks only" product. Built right in is a powerful Report Design wizard that will take you step by step through creating your report. You'll end up with a working report in one or two minutes! Then if you want to "dress up" the report with your logo, fonts, even borders (it will draw shapes onto the report), it's all supported up front and easily! 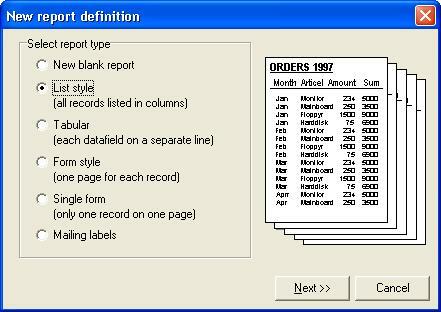 The wizard will give you several ways to list your data, and will let you choose paper alignment, fonts, even ruled lines between each record. The Scoop™ is designed to be easy for real people! But what if I am a Super-Freak Super-Geek? 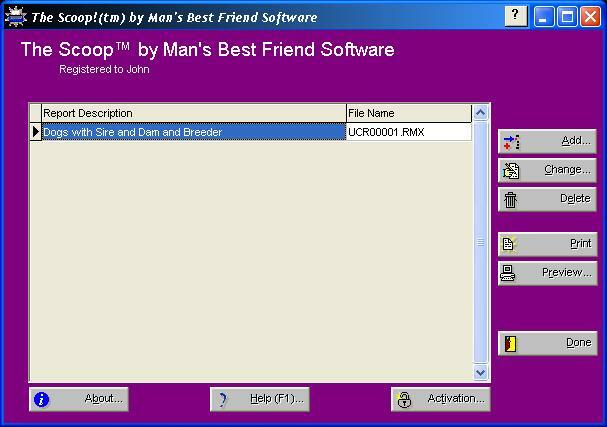 The Scoop™ is also your program if you are more than a power user of TBS and/or your computer! You can design custom queries with grouping, multiple tables, filtering and ordering. You can even make the report ask for parameters (for example, a date or date range) before you print or preview the report! If you are "half a geek", and just want some custom power, we've got your back again! There is a powerful Query wizard built-in that will write the initial SQL statement for you, yet you will be able to customize it as well! Many times, the Query Wizard will get the job done at the outset, leaving you free to start using the report! 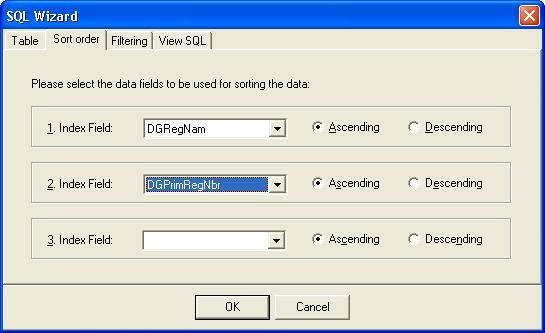 Not only do we have a strong SQL engine built into the program for data retrieval, we also have a strong scripting language built in to let you program your report to do things that you could only imagine before now! If you are a geek, The Scoop™ does what you want. But if you are a normal person, The Scoop™ also does what you want! The best of both worlds! HELP INCLUDED: Of course, the Scoop™ comes with complete online help. The PDF manual is to be released shortly, but everything you need to get started -- including online help, is included! The Scoop™ is available now for immediate download and purchase. To purchase The Scoop™ click here now! Others talk about ease of use. We have delivered!